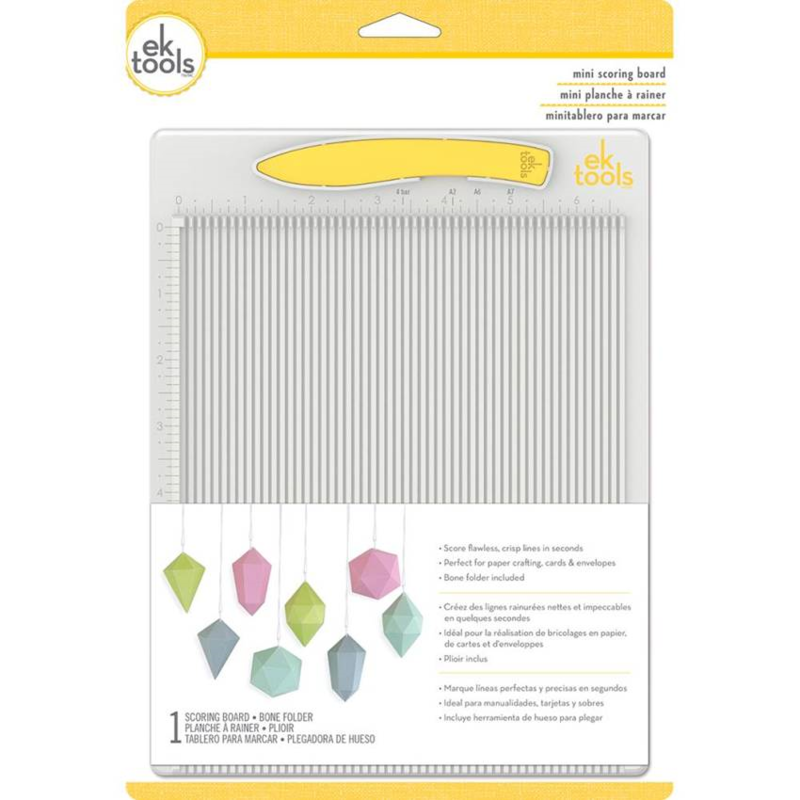 Perfect for card making and other paper projects, the mini scoring board is a great alternative for a small workspace or for crafting on the go. Grooved board with melamine bone folder included helps score crisp lines effortlessly. Envelope guide included. 2 pieces, board is 7.5" x 9.75".